People greet Pope Francis as he travels through a road tunnel in his pope-mobile in Rio de Janeiro, Brazil, early Saturday, July 27, 2013. 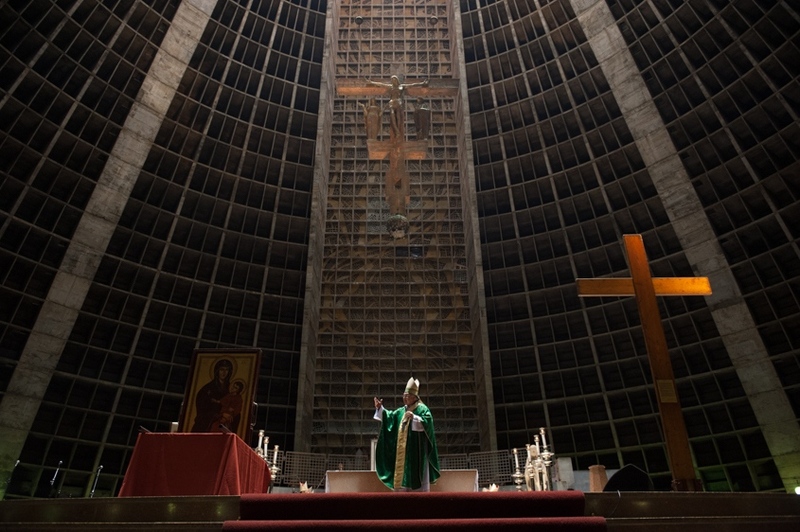 Pope Francis on Saturday challenged bishops from around the world to get out of their churches and preach, and to have the courage to go to the farthest margins of society to find the faithful. Nuns wade in the Copacabana beach water, in Rio de Janeiro, Brazil, Sunday, July 28, 2013. 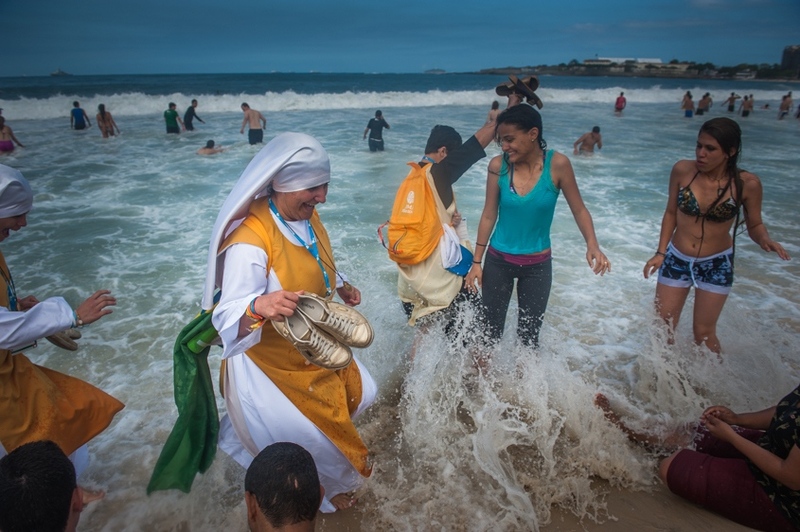 Pope Francis wrapped up a historic trip to his home continent Sunday with the World Youth Day's closing Mass on the Copacabana beachfront. He was leaving for Rome Sunday night. 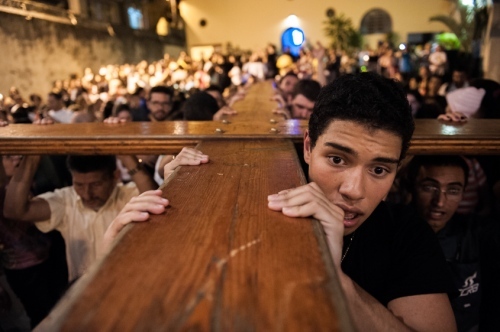 Catholics carry the World Youth Day Cross also known as the Pilgrim Cross during a visit to the Rocinha slum, in Rio de Janeiro, Brazil, Thursday, July 18, 2013. The WYD symbol was given to young people of the church in 1983 by the architect of WYD, Pope John Paul II. 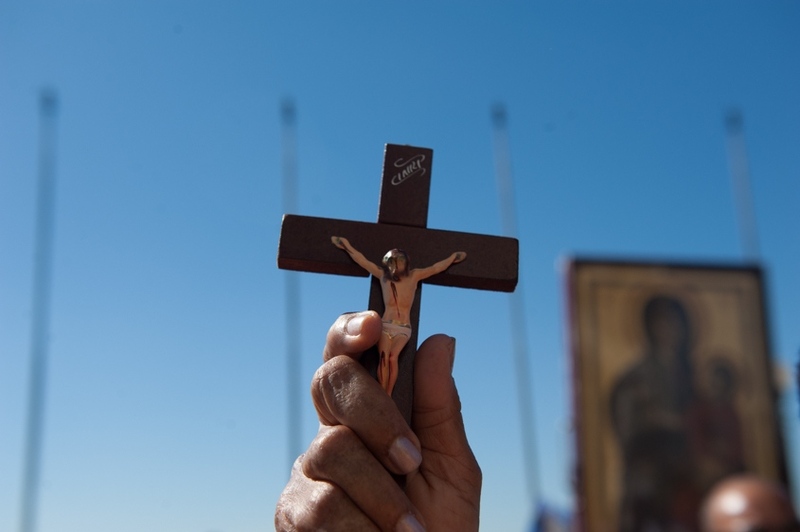 According to the WYD website, the cross set out with young people, from Vatican City in 1984, and has since been carried around the world, making a pilgrimage spanning the parishes of the world. 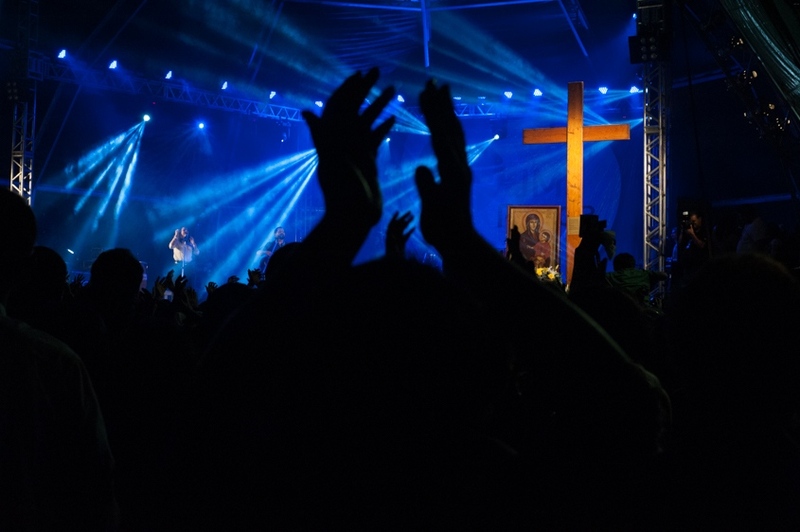 Pope Francis will travel to Brazil and participate in WYD events from July 22-28. 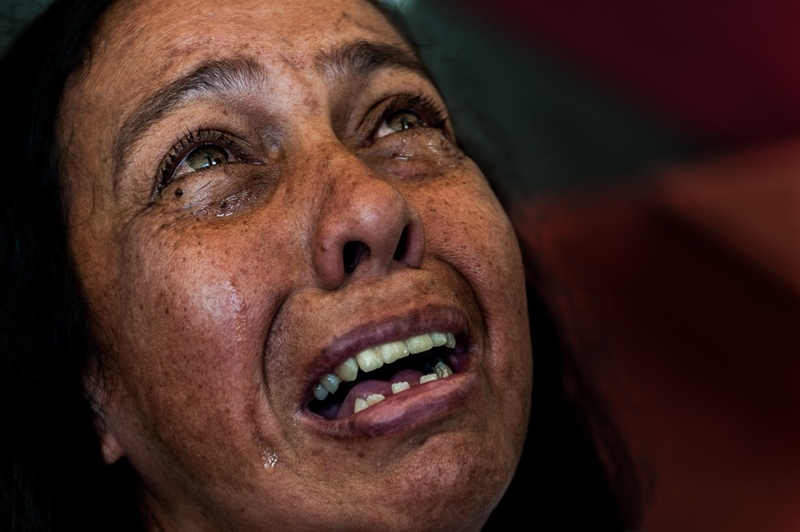 A woman weeps on her knees as she looks up at the World Youth Day cross during a visit to the Penha sanctuary in Rio de Janeiro, Brazil, Saturday, July 13, 2013. Pope Francis will travel to Brazil and participate in World Youth Day events from July 22-28. Olga Valles arranges Pope Francis masks as they dry at her family's Condal mask-making factory ahead of the pontiff's visit in Sao Goncalo near Rio de Janeiro, Brazil, Tuesday, July 9, 2013. 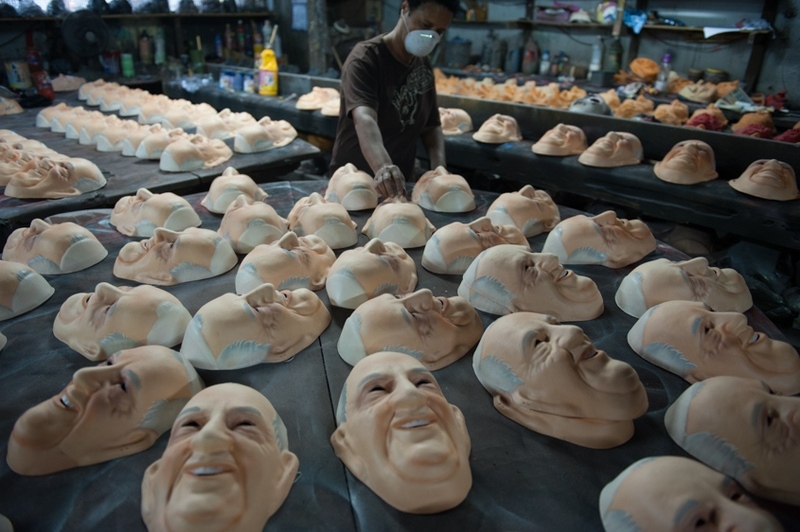 The pope's July 22-29 visit to Brazil, the world's largest Roman Catholic country, will be his first foreign trip as pontiff. 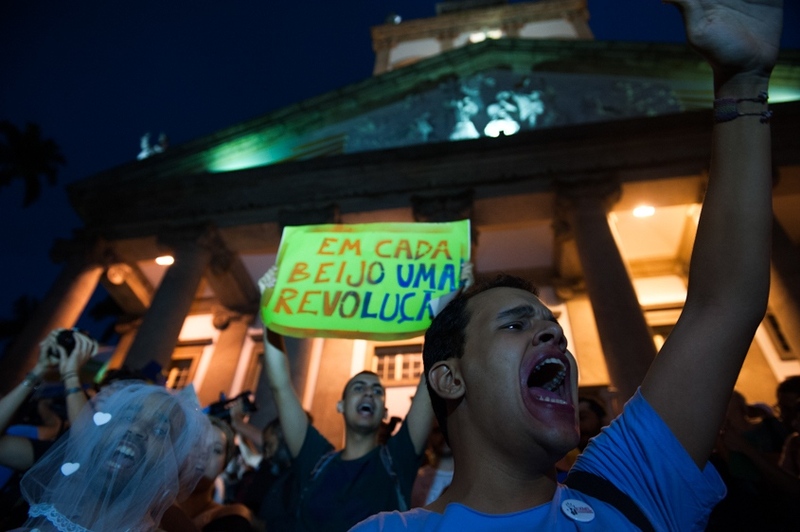 Anti-homophobia protestors gathered in a plaza to protest the Pope's visit to Brazil for World Youth Day in Rio de Janiero, July 22, 2013. 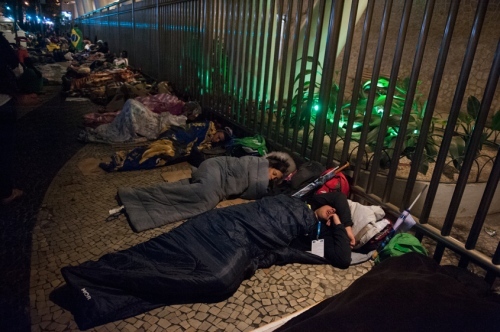 Pope Francis will travel to Brazil and participate in World Youth Day events from July 22-28. Catholics celebrate during a concert after carrying the World Youth Day cross to the stage from the Cathedral in Rio de Janeiro, Brazil, Saturday, July 6, 2013. 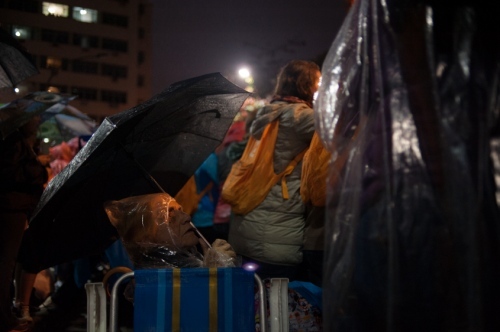 Pope Francis will travel to Brazil and participate in World Youth Day events July 22-28. 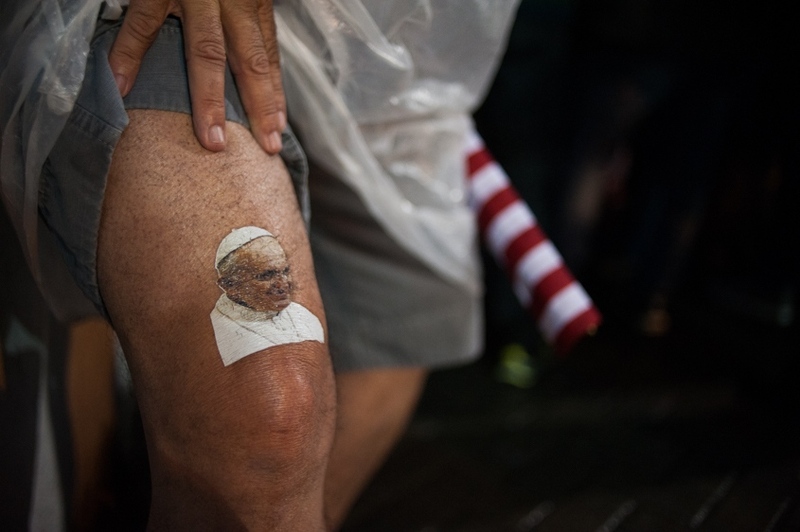 A man holds up the cuff of his shorts to show off his temporary tattoo of Pope Francis while waiting to get a glimpse of the pontiff making his way to the St. Francis of Assisi of the Providence of God Hospital, where the Franciscans look after alcohol and drug addicts, in Rio de Janeiro, Brazil, Wednesday, July 24, 2013. A woman watches a security helicopter fly overhead as she waits to see Pope Francis drive by on his way to the St. Francis of Assisi of the Providence of God Hospital, where the Franciscans look after alcohol and drug addicts, in Rio de Janeiro, Brazil, Wednesday, July 24, 2013. 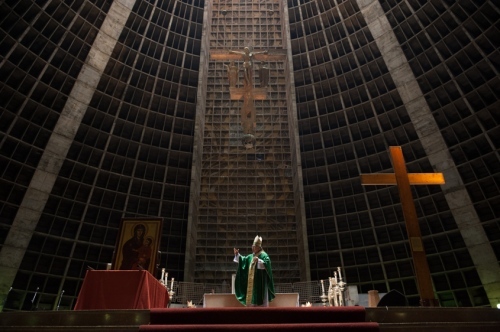 Rio de Janeiro's Archbishop Orani Joao Tempesta gives a sermon during mass at the Cathedral in Rio de Janeiro, Brazil, Saturday, July 6, 2013. 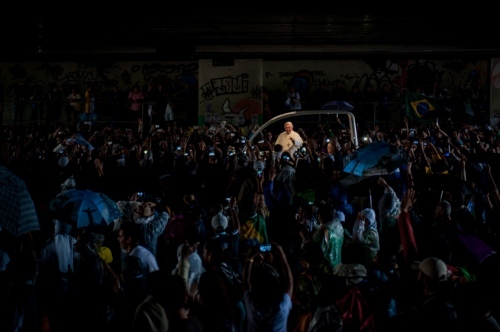 Pope Francis will travel to Brazil and participate in World Youth Day events from July 22-28. 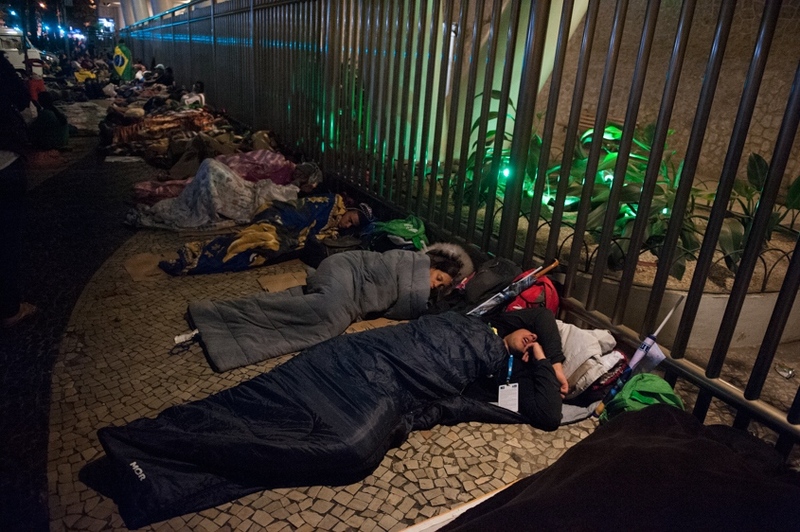 Pilgrims sleep on a sidewalk near Avenida Atlantica, next to Copacabana Beach in Rio de Janeiro, Brazil, Saturday, July 27, 2013.